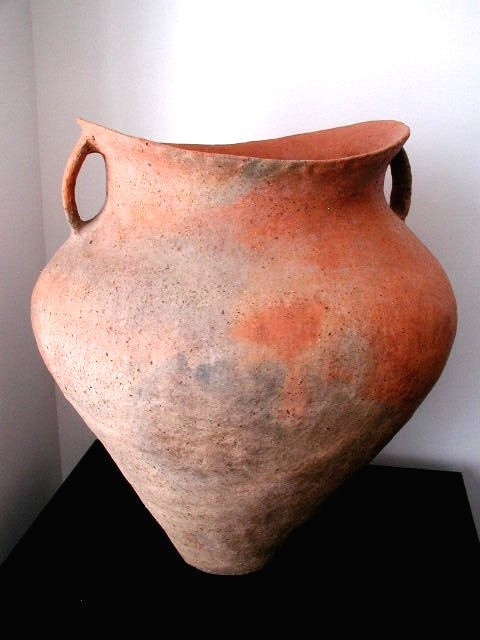 Large red pottery jar with saddle shaped neck and two strap handles. Neolithic Period, Siwa Culture, ca. 3500 B.C. H. 18 in. (46 cm).